Art Primo Reviews by xBluntx - A Top 500 Reviewer! All the reviews by xBluntx - A Top 500 Reviewer! I actually bought these from my local convenience store, surprisingly, but they are amazing quality markers. Great ink flow, never smears when you know what you're doing. Colours are always super bold, looks amazing on shiny materials like shiny cardboard, metal, glass etc. 2 of 3 found this review helpful - did you? I wasn't expecting it to be so small. You can grasp it within your fist. I purchased this in white and it came WITHOUT a LABEL, so for all I know I could've been ripped off :P. The paint flows very easily and is supremely opaque. The marker contains enough to keep you busy for a while but is a bit too overpriced for the size of it. Better off buying an OTR empty mop and filling it with a paint of choice. (apreply) Aye vato. You didnt get that from us. 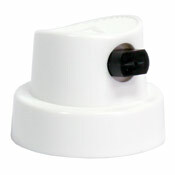 We inventory and double check all orders from our manufacturers. We would have seen that. 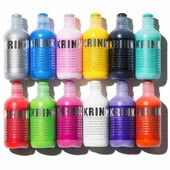 Out of all the thousands of Krink products that have come into this warehouse, not one came without a label. Also your order would have been double checked as well. There is no way that would have shipped without a label. So go to whoever you bought it from and ask them why they sold you that marker.